Our senses can spring us into action and cause immediate emotional reactions. Think about if we smell smoke or hear someone scream. We are instantly alarmed. What about a baby’s laugh or the sound of a gently flowing stream? One evokes happiness; while the other, serenity. Our senses are our window into the world around us. But so often we purposefully and/or subconsciously dull them by not paying attention to their input. Practically speaking, there is a time and a place for doing this. While writing this post, I can hear the birds chirping outside and also my husband on the phone. The birds don’t bother me, but since I need to focus, I closed the door to muffle my husband’s discussion and limit its distraction. Knowing when to tune in and when to tune out my sensory input is a skill I have learned over time. When we need to focus on something, it’s important to tune out distractions. But when seeking connection, motivation, or simply being present, tuning into our senses can be a rewarding gift we give ourselves and others. It’s a habit we can cultivate to make our moments memorable. 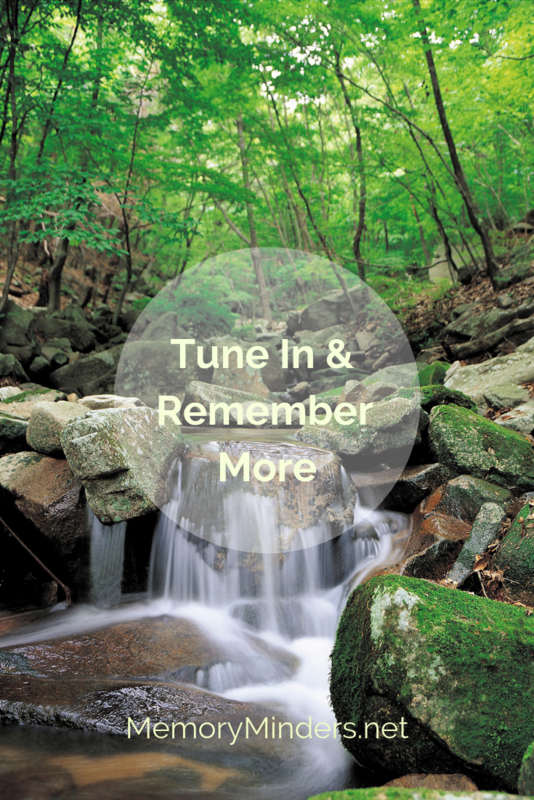 Practicing and mastering the art of tuning in and tuning out makes our focused time more rewarding and the times we want to remember more memorable. Take a few moments this week to practice this art of paying attention to your senses. How and when you need to tune in or out is up to your individual preference. But honing this skill makes us more productive, creates more meaning, and contributes to our overall wellness. Give it a go-pay attention and use ALL your senses to make your life and moments more memorable.